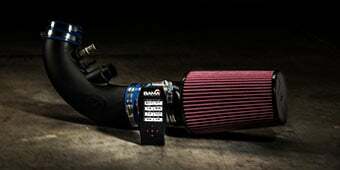 Please select options for SR Performance Intake Spacer (96-04 GT) at the top of this page. Hey I’m Justin with AmericanMuscle.com, and this is my quick look at the SR Performance Intake Spacer fitting all 96-04 Mustang GTs. 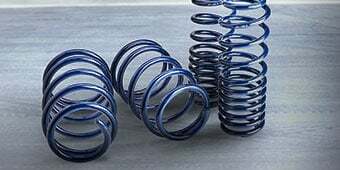 SR Performance is a company that prides themselves on making high quality but budget friendly performance and suspension components, for a wide variety of different Mustangs. If you want to stay up to date with all the latest SR products released for your ride, in addition to an overview of each product, you have to subscribe to our YouTube channel if you haven’t done so already simply by clicking on the banner below. So the idea of spacers actually originated back in the old school carborator days where raising the carb off the plenum would increase plenum volume and allow for more even fuel distribution. The idea of the SR spacer here works off that same principal, by boosting plenum volume you should see a small bump in power. 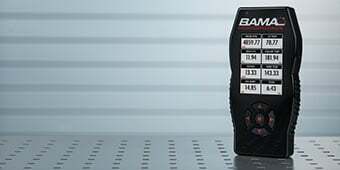 I’m not going to sit here and tell you this product alone is going to give you 15 horsepower at the rear wheels because honestly it won’t, however it is a great mod for the price that compliments those other basic bolt ons such as your cold air intakes and your exhaust but really shines whenever you add a supercharger or turbo charger into the equation. 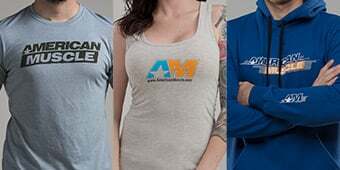 Either way, I really encourage you to hear what other 2 valve owners are saying about this product, you can do so by simply clicking on the banner below to head back to the product page at AmericanMuscle.com, and read up on some of those reviews yourself. The SR Performance spacer here is designed to work with both factory and aftermarket throttle plenums and intakes and is made from 100% solid billet aluminum. It also comes with all necessary hardware and gaskets to get the job done, and best of all does not require a tune. As for the install itself, it is pretty straightforward and should only take you about an hour from start to finish. You will of course need to remove your factory throttle intake first, attach the spacer to your intake manifold itself, then reattach your throttle body or throttle plenum to the actual spacer. Again, very straightforward stuff, but if you should need any help or if you just want to talk shop, you can always shoot us an email or give us a call at any time. 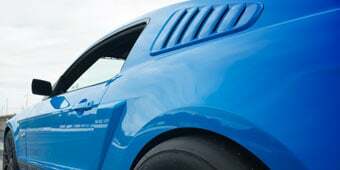 So if you’re looking for an inexpensive and easy to install part that’s only going to help your performance as your mods grow, you have to check out the SR Performance throttle spacer, available right here at AmericanMuscle.com. More Power. This SR Performance Aluminum Intake Plenum Spacer for the 1996-2004 4.6L 2V GT Mustang is a simple yet very effective bolt-on to improve the quality of the air entering your engine. By helping to better separate your throttle body from engine heat and increasing the volume of the plenum, you will easily gain 2-7 dyno proven rear wheel horse power. Simple Install. This SR Performance Intake Spacer is constructed of solid half inch thick aluminum and comes complete with all the necessary hardware and instructions for a straight forward simple installation. Application. This Intake Spacer is designed for use on the 1996 to 2004 4.6 2V GT Mustangs and will fit with the factory intake or with an aftermarket cold air intake kit. Does this spacer work with the BBK 78mm throttle body? Yes. Install this spacer between the upper intake plenum and the intake manifold. Yes it does. I did this with my own mustang, and i love the sound. Will this give any gains, and if so how much, with a 70mm BBK TB and a factory plenum on a 99 GT? K N short ram intake. This will gain you power still and has been dyno proven to 2-7 hp. so if i have cold air intake along with this will it improve my overall acceleration? 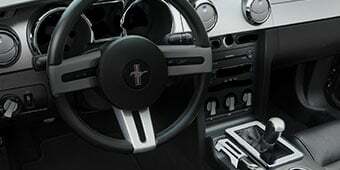 Just about any mod you do to your Mustang will help acceleration. This keeps the air flowing into your engine cooler by keeping it farther away from the heat of the engine thus giving you more power. The power gain will be very minimal though, so don't expect to "feel" the difference. But little mods like this add up when you start getting more mods like CAIs and Tuners. yes. but best gain is throttle response. DO YOU NEED TO MODIFY THE STOCK HOOD? Will this spacer interfere with the hood closing okay? or do i need like a cowl hood? No modification necessary - this can be used with the stock hood without any clearance problems. No, it will fit with no problems. No I have a stock hood it'll fit fine.mine is a 02. Would this work with the sr strut tower brace ? This spacer WILL work with the strut tower brace and the factory upper plenum. HOWEVER, this along with an aftermarket upper plenum will be a very tight fit. I installed this spacer with a Trick Flow 75mm upper plenum (P/N TFS-518B0001) and the throttle position sensor just BARELY fit behind the strut brace. I have a 96 GT, so an 02 GT may be a little different clearance wise. This will raise your intake 1/2". You should probably have at least 1/2" clearance between intake and your brace. You will have to go measure for clearance. The small spacer is included for some models where one bolt is too long to be used. This is not common and most Mustangs will not need this during installation. The SR Performance Intake Spacer is only intended for use on the factory 65mm throttle body. 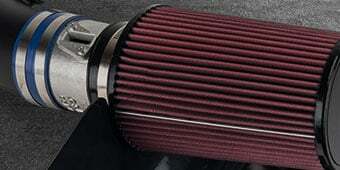 The SR Performance Intake Spacer can be used with the C&L Intake Plenum. This will not be California Smog Legal. The SR Performance Intake Spacer will provide a small increase in power, but you should not notice any loss in the lower RPM ranges. This will not be smog legal no. This spacer would be illegalin California yes. The SR Performance Intake Spacer is designed for the stock intake manifold, and intakes sharing the same intake plenum flange. The Edelbrock Victor Jr Intake will have a unique plenum mounting flange, making this incompatible. The SR Performance Intake Spacer will not work with the Edelbrock Victor Jr intake manifold. You will not lose any power or torque with this spacer installed with the 75mm throttle body no. 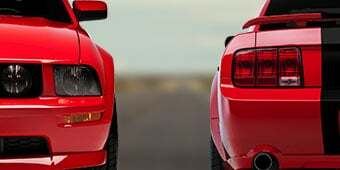 While the Mustang and Crown Victoria engines are very similar, there are some minor differences that may cause issues with fitment. 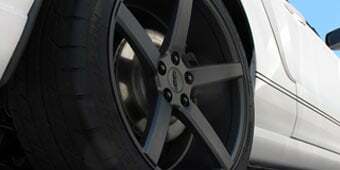 We have only tested these on Mustang engines and would not be able to guarantee fitment on other applications. The longer bolts supplied are not a quality set of bolts. When tightening, the last bolt snapped off leaving me with one option. Take it to a mechanic to have it removed and a better grade bolt to be installed. A simple job ending up taking extra time and money due to cheap bolts. The spacer itself looks nice under the SR throttle body. Response was noticeably improved. No instructions, don't really need them though. Spacer fit perfectly. Tight fit with stock EGR valve but nothing major to be concerned with. Looks good and there is a slight change in exhaust tone as well as slight engine whistle. Works awesome with a 70mm t/b and AIRAID intake. Definitely notice a gain in torque and helps with the airflow....remember your engine is a giant air pump...more it can be breathing....better it can perform!! Tune not needed....but suggested if you are wanting max hp gain. A must have for the new edge mustang. Great power added to the mustang and extra bling under the hood. Items came in the box, parts bag open, no instructions. I only had to look up what the one spacer was for. It was for the one bolt that needed it for stabilization. Not too bad installation, about three hours. Good, cheap add-on,,,,Surely recommend as a good little bang for the buck! No problems with the intake spacer. It does bring it up about 1/2inch. I recently purchased this intake spacer about a week ago and it was easy to install in a matter of time. 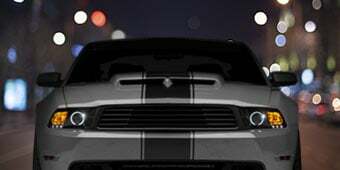 When I first started the engine, I felt a huge difference when I'm driving as my Mustang was going fast on the highway and saving time for me. The fit is perfect and easy to install. Noted change in throttle response but no dyno run to verify improvement gains. Very happy with purchase. Installed the spacer and throttle body within an hour. After starting the car noticed a loud hiss coming from the assembly. Changed the gasket 3 times adjusted the screws and couldn't get rid of the air leak. Ended up taking the spacer off and reassembling the intake. Hiss gone car running smoothly! It is well made and comes with what you need to install. The gasket should go in between the plenum and spacer. I bought all the typical bolt on stuff from SR Performance, (75 mm throttle body, plenum, spacer, CAI, UD Pulleys, etc...) and FRPP 4.10 gears. The car felt much better than stock! I recently took everything off for California SMOG, except the gears and hardly noticed any difference. I'm not going to bother reinstalling anything as I should have just listened to what EVERYONE else said and buy a blower... So I have a Kenne Bell ready to go on soon that IS California legal and will actually show massive gains. Not to knock SR Performance or any other company, but the bolt-ons just are not worth it. Save the money up for FI if you really want some power. AND DEFINITELY GET 3.73 OR 4.10 GEARS!! !